Wristbands are a popular way to denote certain privileges at sporting events, concerts, nightclubs and conventions. They can be used for a variety of reasons, from indicating that the wearer is of legal drinking age to granting access to certain "VIP" areas. Many organizations are still issuing the same paper-like wristbands that have been used for years. We've all seen them: they're frequently used to indicate that a bag has been searched by arena security or that a person at an 18+ concert is over the age of 21. These wristbands work on a basic level, as they do a good job of identifying the wearer at a glance. However, these wristbands have what you could consider a fatal flaw: they're transferable. While it's true that they're designed to be non-transferable, it's easy to peel apart the wristband without damaging it, if you're careful. This creates a serious security lapse, potentially allowing access to alcohol for underage youth or allowing an outsider into privileged areas. 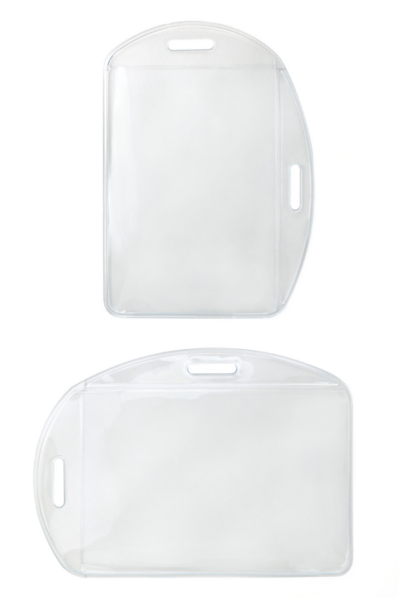 On a visual level, our secure closure wristbands work a lot like the ones described above: they're printed with some kind of design to indicate the status of the wearer at a glance, making things easier on bartenders and security guards. 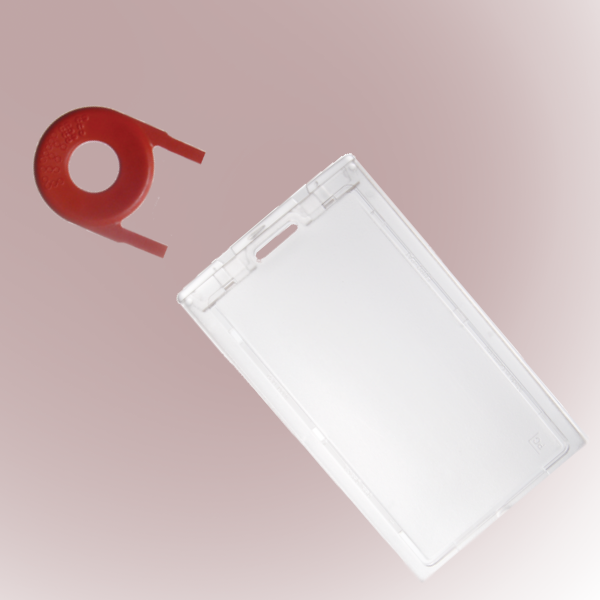 However, secure closure wristbands feature an added security benefit: once placed on the wearer's wrist, the only way it's coming off is with some kind of blade. 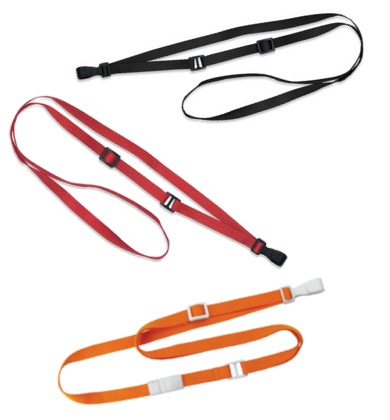 Think about a standard lanyard. What words come to mind? These are all great words, sure. But they don't exactly set the world aflame with excitement. 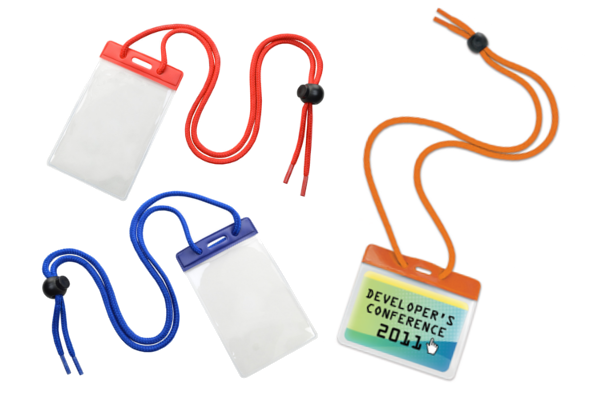 Custom lanyards, obviously, are a much different story. 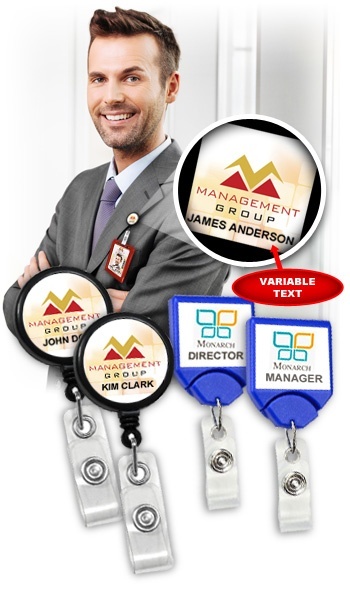 With detailed graphics, bold text and a variety of colors, custom lanyards are designed to stand out and grab attention. 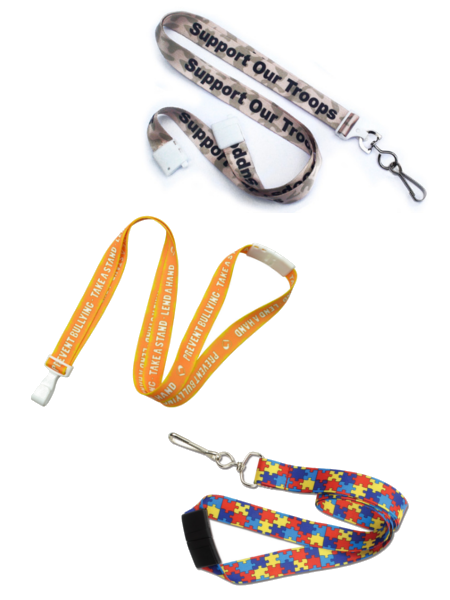 But custom lanyards come with a custom price, and some organizations simply don't need the branding that comes with a custom solution. Does that mean you have to settle for plain lanyards? 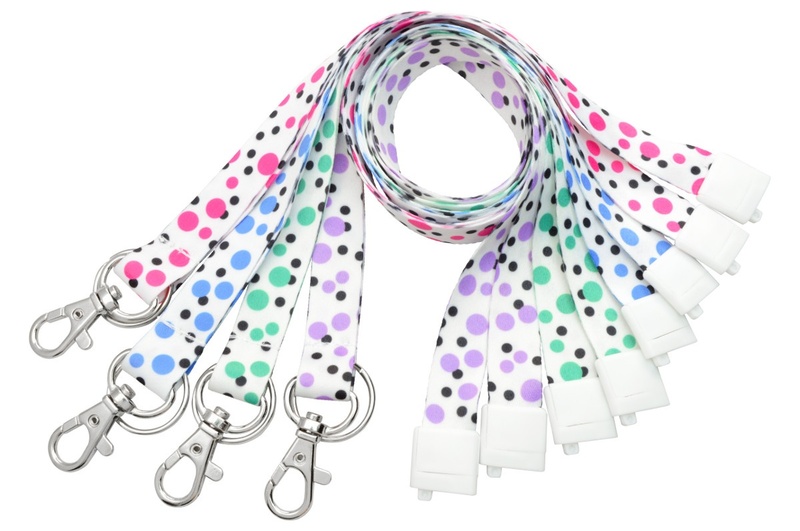 Our latest lanyard offering brings you the colors and boldness of a custom lanyard at the price of a standard lanyard. No two ID badging programs are exactly alike. For example, a college is going to do things a little differently than a nursing home. However, in some cases, the badging needs within a single facility can vary, creating what could be viewed as mini badging programs within one larger program. Think about a place like a large industrial company: employees working in the office upstairs doing finance and marketing aren't going to need the same kind of ID credential as a worker down on the factory floor. In a case like that, the upstairs employees may have standard employee badges with a name and photo, while the factory workers have smart cards that can be used to open loading bay doors or to access inventory supply rooms. 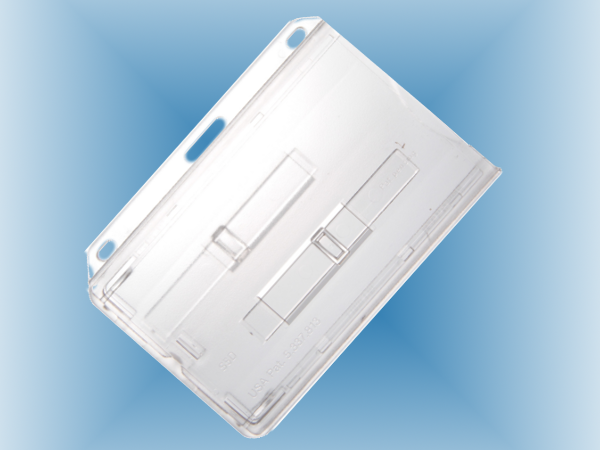 In these cases, getting the right card-carrying accessories can be tricky. You want something that meets the needs of both groups, but don't want to break the bank ordering multiple supplies at lower quantities. 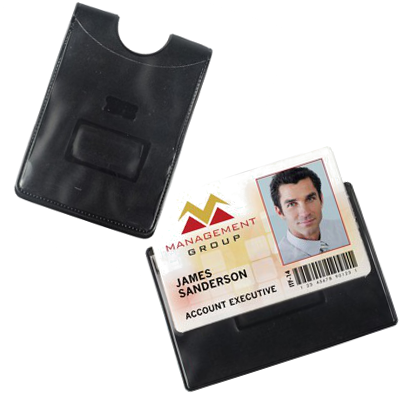 We've got a solution for those multiple-card programs: badge holders that can be used how you want!